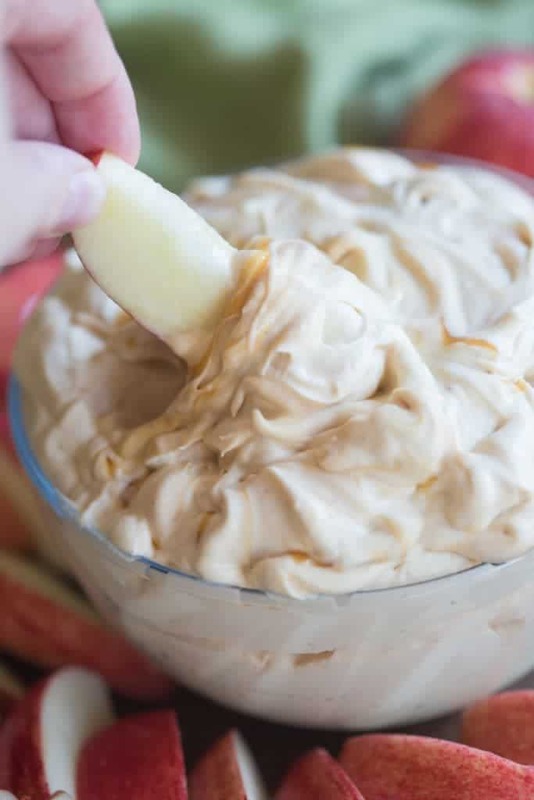 This light and fluffy whipped Caramel Apple Dip is made with cream cheese, caramel sauce, and whipping cream and tastes AMAZING! Talk about HEAVEN in a bowl. This Whipped Caramel Apple Dip is amazing, you guys. 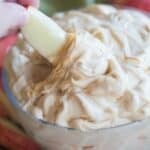 My husband declared it better than plain caramel apple dip, and I absolutely agree. Plus, it takes just 5 minutes to make! I’m confidant you will love it as much as we do! 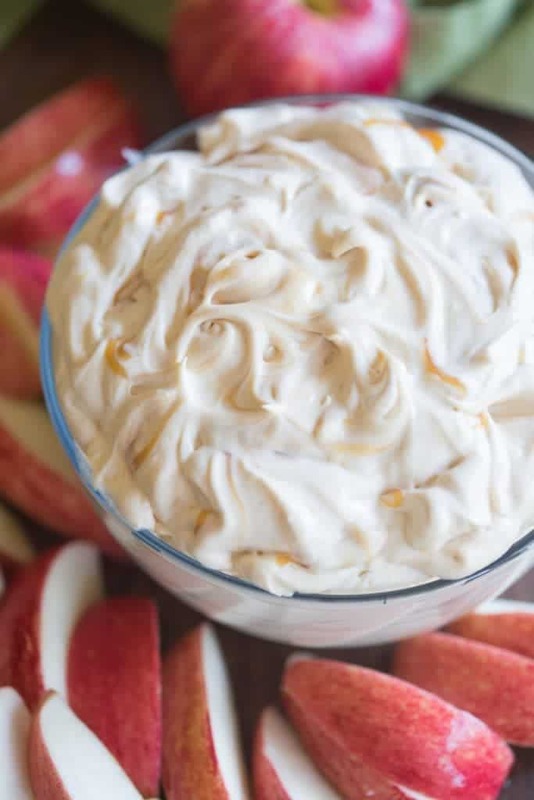 This light and fluffy whipped caramel apple dip couldn't be easier. It uses simple ingredients, is made in five minutes, and tastes AMAZING! In a stand mixer or large mixing bowl, whip the heavy cream until stiff peaks form, about 3 minutes. Mix in cinnamon, vanilla, sugar and caramel sauce until combined. With mixer on medium speed add the softened cream cheese and mix well until smooth. Serve with apple slices. Refrigerate leftovers. Okay, I’m 100% obsessing over this. I’d eat anything dipped in this stuff! Cannot wait to try it out. I think I am the only one rating that has actually made this so far. Sadly, I thought the flavor was lacking. I doubled the cinnamon and caramel and still the flavor of the Red Delicious apple overwhelmed the dip. I love this!! So easy and delicious- is there anyway you could make this dairy free and get similar results? I tried with one type of non-dairy cream cheese and the consistency and flavor were off. So you have any recommendations for brands? Thanks! I have not experimented with dairy free products like that, so I couldn’t say! sorry! I’ve made this dip several times now and everyone always loves it! Thank you! I have made this several times now for different occasions and it is always a hit. I took it to a family party over the weekend and everyone loved it! It will keep for around 2-3 days in the fridge.